Ziegler, a specialty investment bank, is pleased to announce it served as the exclusive financial advisor to Desert Radiology on its partnership with Radiology Partners. Founded in 1966, Desert Radiology has grown to be the largest radiology practice in Nevada and is ranked among the top 25 practices in the country on the Radiology Business Journal’s Radiology 100. 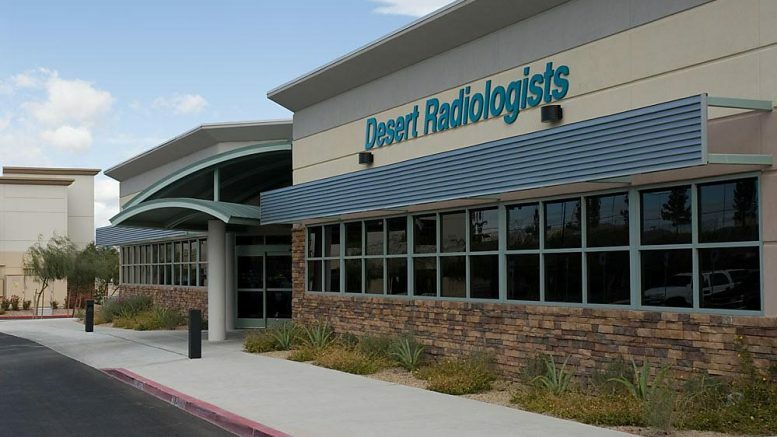 With 80 radiologists serving 30+ hospitals, imaging centers, and outpatient clinics, Desert Radiology has established itself as a leading radiology services provider. The Company brings extensive expertise in risk-based contracts, maintains longstanding key relationships with various health systems including UMC, Banner Health and Valley Health System, and is the exclusive provider of radiology services to multiple Las Vegas professional sports teams including the Vegas Golden Knights, Las Vegas Aces, and Las Vegas Lights FC. This transaction increases Radiology Partners nationwide footprint into the Nevada market, widening its footprint to 18 states. As a result of the partnership, Desert Radiology will benefit from the scalability and efficiencies that come from partnering with a leading national provider, while furthering their mission of providing high quality diagnostic imaging services and patient care. “Andy Colbert and his team at Ziegler, were not only our trusted advisors, but our partners. Their knowledge of the radiology industry, contacts, financial expertise and pure drive was an enormous advantage for Desert Radiology. The Ziegler team helped us focus on what was important to our future and stood by our side working tirelessly until every deal point was negotiated, ultimately helping us finalize a partnership with Radiology Partners. Along the way, Andy made sure our shareholders stayed informed of the process and economics of the deals. Without a doubt, we were better off having Andy and Ziegler on our side. I cannot thank them enough for their efforts throughout our process,” said Rich Bodager, Chief Executive Officer of Desert Radiology. “The Desert Radiology team has built a truly exceptional platform serving the Las Vegas community with outstanding service through both their local hospital relationships as well as their imaging centers and clinics. We are thrilled to have represented Desert Radiology in this process,” commented Andrew Colbert, Managing Director in Ziegler’s Corporate Finance practice and lead banker on this transaction. Brent Hill and team at Waller Lansden, Dortch & Davis, LLP served as legal counsel to Desert Radiology. Ziegler is a leading financial advisor to physician practices across the U.S. The Ziegler approach is centered around senior-level attention on every engagement, deep domain expertise, creative structuring insights, and unparalleled attention to detail. With this combined approach, Ziegler is able to drive optimal outcomes that are tailored to best meet the unique objectives of each client. In our core practice areas of healthcare services, healthcare information technology, hospitals and senior living, Ziegler is one of the most active M&A firms offering innovative sell-side, buy-side, recapitalization/restructuring, equity private placement and strategic partnering services.